The author is Professor Emeritus in Law in the University of Wales. He worked in many Commonwealth jurisdictions before settling in Wales in 1975. He lives in the Rhondda Valley with his wife, Heather, and their Welsh border collie, Coco. He is 85 years old. 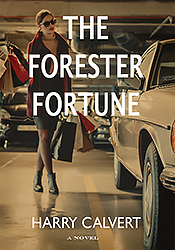 “Starting out with nothing, good management and good fortune enabled the Foresters to rise from rags to riches over four generations. The wealth thus acquired by the family provided its younger members with an opportunity for the best possible start in life but that same wealth did not always bring contentment and happiness. Born in Poland before World War One, Seftig Four became a classical scholar of dubious merit, moving to France in his twenties. 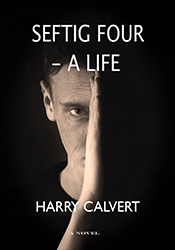 His career there, covering some forty years, including the occupation and liberation of France, brought about much harm before his solitary death in his mid-sixties. Four’s life occasioned little pleasure to anyone and no account of his life is likely to do so. Sidney Harber-Bridge, aged 85, worked as a professor of law in Australia, Asia, Wales, Ireland and England before settling in Wales in 1975. Once a keen mountaineer, he has published a variety of books and articles on law and mountaineering. Now retired, he lives in the Rhondda Valley, south Wales, with his wife, Heather and their Welsh border collie Coco. 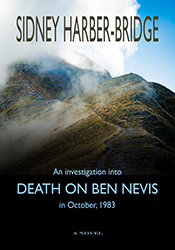 A body found in a remote location on Ben Nevis in Scotland poses a problem of identification for Detective-Inspector Annie Chisholm. In the course of her investigation, she discovers a surprising number of candidates for identity yet there is only one body. Who is it? How did it get there? Was it an accident? Or murder? With the help of friends and colleagues, she finds answers to these questions. Or does she?